An "architectural gem" more widely known as the Ferris Bueller house in Highland Park is going back on the market -- but not quite yet. Meladee Hughes, the Coldwell Banker realtor for the home, said it was taken down to make several renovations. "We’re going to have new flooring, decorating and quite a few other things," Hughes said. "We’ve replaced one of the roofs and we’re replacing another roof. We’re detailing it like a car." Hughes said both media attention and the mid-century 1950s furniture in the home, which has since been removed, detracted potential buyers in the past. "Having a house that is an attraction where people drive by all the time isn’t always what someone wants," she said. But three people are currently interested in the property. Who are they? They're all architects, Hughes said, who would undoubtedly appreciate the architectural significance of the property. Hughes hoped the property would be back up on the market by the end of the month, but her "educated guess" is that it won’t be listed until August. "And we will come on with a big blast," Hughes said. 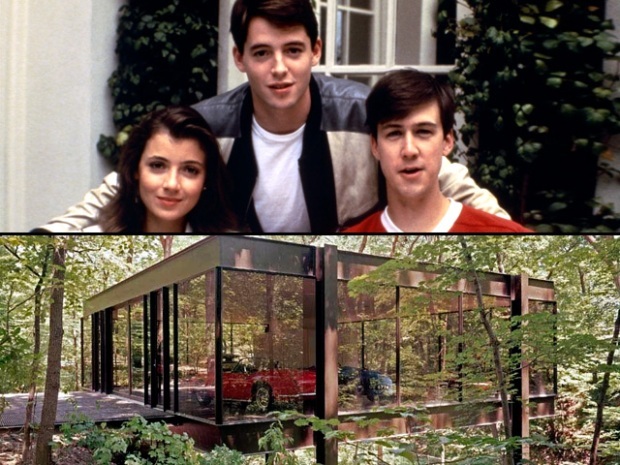 Go inside the home made famous in "Ferris Bueller's Day Off."